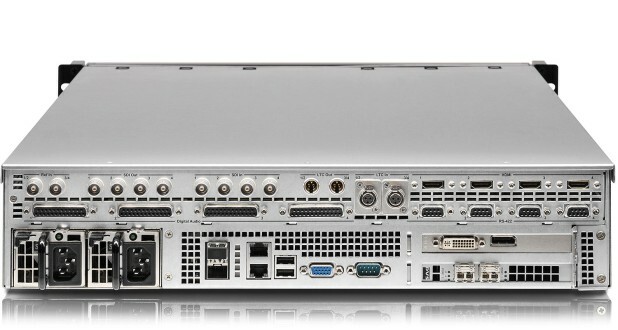 R&S®VENICE 2U is a future-ready video server for highly optimized file-based TV production workflows. 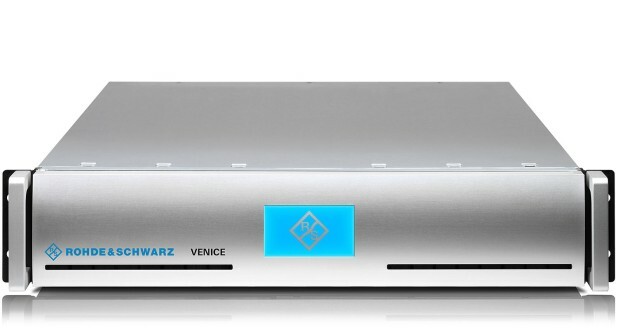 R&S®VENICE 2U manages classic video server tasks such as HD-SDI ingest and studio playout combined with intelligent file-based features like file ingest, transcoding and media transfer operations. R&S®VENICE 2U is a future-ready video server for highly optimized file-based TV production workflows. R&S®VENICE 2U manages classic video server tasks such as HD-SDI ingest and studio playout combined with intelligent file-based features like file ingest, transcoding and media transfer operations. It is especially suited to facilitate content ingest and distribution as well as studio production. R&S®VENICE 2U is the first choice for recording live events. The proprietary remote user interface allows you to easily make and manage multicamera recordings. You can save production scenarios and load them as needed, saving valuable preparation and setup time. Scenarios contain all required channels, channel presets, recording modes and project settings. They are especially ideal for performing repetitive recordings, such as weekly live shows. The dual destination feature makes it possible to save content in parallel and independently of one another to two different storage destinations, ensuring maximum data security. The copy while feature eliminates the need to make copies after recording. As soon as recording starts, the data being recorded can be copied to another storage medium, such as a directly connected external hard disk. In addition to live ingest, R&S®VENICE 2U lets you record content directly from professional VTR machines. R&S®VENICE 2U supports ingest and playout and can be used to control all conventional VTRs. R&S®VENICE 2U also allows content to be imported directly as a file. P2 and SxS memory cards as well as professional disk players are supported. Individually recorded segments can be combined directly into a single file during transfer to the storage medium. R&S®VENICE 2U supports the compressed file formats typically used for broadcast along with a number of uncompressed formats and single frame sequences. The edit while function allows editors to edit content while it is being recorded. All conventional editing systems are able to natively access the content being recorded. The Avid workflow option enables direct recording to Avid Isis and direct registration in Avid Interplay. R&S®VENICE 2U is the core of the distribution environment, providing fast, uncomplicated and consistent workflows with both compressed and uncompressed video formats. It natively processes all supported codecs and wrappers. R&S®VENICE 2U helps you prepare and distribute content in a broad range of formats and resolutions. The transform function lets you quickly and easily convert formats and supports rough cut editing for efficient content delivery. Received contributions can easily be converted into any delivery format, including AS-11, HDF01 and HDF02. All formats supported by R&S®VENICE 2U can be played out directly without further conversion. 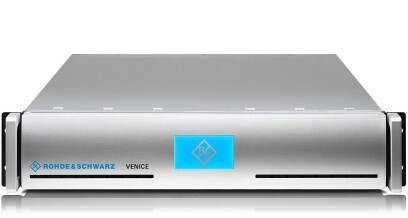 R&S®VENICE 2U offers a unique remote user interface for convenient and intuitive control of all production workflows. The remote user interface helps you reliably and quickly manage all tasks, from multicamera ingest to transcoding and complex playout processes. Frequently recurring processes can be saved in scenarios and immediately reused. The remote user interface is available for Windows®, Mac OS® and Linux®. The following table shows the hardware specifications of the R&S®VENICE 2U for each video channel pair (ch. 1/2 or ch. 3/4). The following table shows some of the supported video rasters. All frequencies indicate the frame rate. Some rasters are available only as optional features. The availability of rasters depends on the selected file format and/or codec. Some rasters are not available for all R&S®VENICE 2U models. 1 Optionally available for all R&S®VENICE 2U models. 2 Only available for R&S®VENICE 2U with ingest or ingest and transform option. 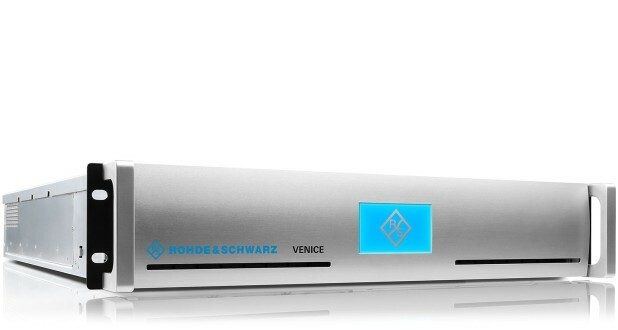 3 Only R&S®VENICE 2U with ingest or ingest and transform option operates in 4:4:4 and 4:4:4:4 mode. 4 Available for the first video channel of a video channel pair. 5 Frequencies higher 30 Hz are available on the HDMI® output only.